125mm square stacking pallet foot, with 52mm square flat top plate, pressed from 2.3mm thick steel. 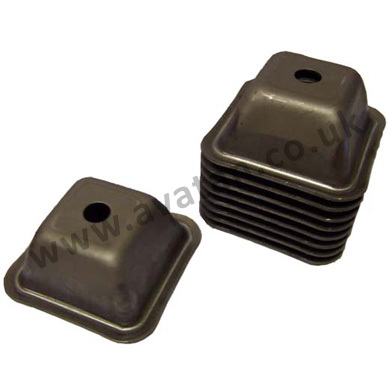 These are the most commonly used pallet feet, suitable for up to 50mm square angle or box section. Also available with 3.0mm wall thickness. Sold in sacks of 50 feet. 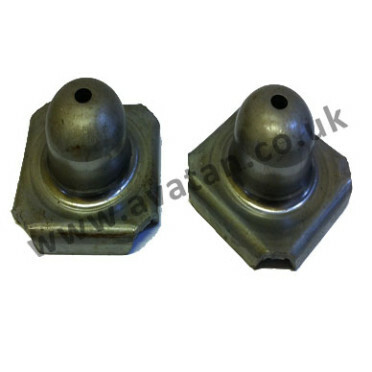 Also available within our range of pallet and stillage accessories are nesting plugs, gate hooks, brackets and fittings including shoot bolts and spring hinges.